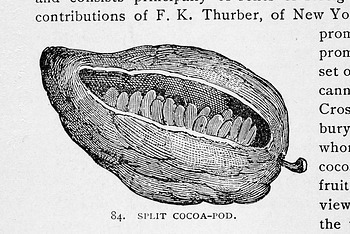 Engraving of a Split Cocoa-pod, 1886. Smithsonian Institution Archives, Smithsonian Guide Books, Image no. 95-20331.